ProQuest and Ex Libris, a ProQuest company, have been partnering with Latin American libraries and universities for many years. In that time, we’ve forged lasting relationships and built strong networks, supporting the important work of the region’s librarians, faculty and students. Now, we’re excited to announce that we’re deepening our commitment and investment in this important region. 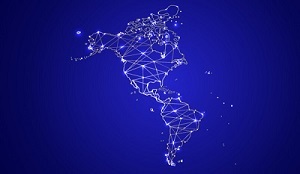 Under the leadership of Boe Horton, ProQuest Vice President, Sales, we’re opening new offices in Mexico, Colombia and Chile, and maintaining our office in Brazil. We are also delighted to announce that we will add our Ex Libris distributor Grupo Sistemas Logicos to the ProQuest family to ensure continuity and provide robust support to our customers across our entire portfolio. Further, we’ll bolster our strong team in place today by hiring experienced staff that many of you will already know. Our existing and new customers will now be served by local ProQuest staff, providing a direct connection for product knowledge, service, training and feedback that helps us ensure our products meet your library’s needs. Though we will continue to use a small number of distributors on selected product lines, most products and services that you may have licensed from distributors – resources such as ProQuest Central, Academic Complete, ProQuest Dissertations & Theses Global, ABI/INFORM Collection, SciTech Premium Collection and Literature Online, as well as Alma, Primo, Summon, Leganto, RefWorks, Pivot, 360Link and RefWorks – will now be sold and serviced directly by ProQuest and Ex Libris staff across the region. We will, of course, work closely with customers to ensure a smooth transition and minimize any disruption. We look forward to working directly with our Latin American customers. If you have questions or ideas for us, please contact us at soporteLATAM@proquest.com. View a list of Frequently Asked Questions.